Beach Fossils and Wavves have been on their “I Love You Too” tour since late October and appear to be having just as much fun since day one. Wavves hyped up the crowd and Beach Fossils played all the fan favorites. The only downside was getting into the venue—fans had to endure long lines as ticketing systems were down. But once inside, the versatile and ornate Belasco theater was an eyeful, and there was no shortage of earfuls of high energy indie rock. Wavves’ Nathan Williams hyped up the crowd, encouraging safe moshing and crowd surfing. He took swigs from a bottle of Jameson and, in true form, somersaulted into the crowd to join in on the crowd surfing. Although slightly more subdued than the usual Wavves performance, which sometimes includes Nathan jumping from higher altitudes, the crowd sang along to favorites like “King of The Beach” and the Grand Theft Auto V favorite, “Nine is God.” When a fan asked where his dog Chloe was, he shared she was at home. “She prefers EDM,” he joked. He also encouraged fans to support the animal rescue by purchasing a tour poster, in which all of the proceeds would go to the rescue. Local act Spiritual Cramp opened for the co-headliners. 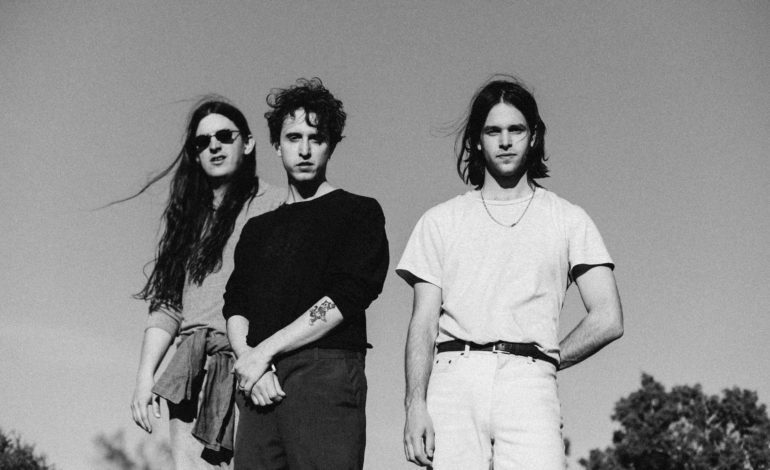 Beach Fossils and Wavves will play a second night at The Belasco on December 5, then continue to San Diego and end their tour in San Fransisco on the 14th.